Welcome to my blog. 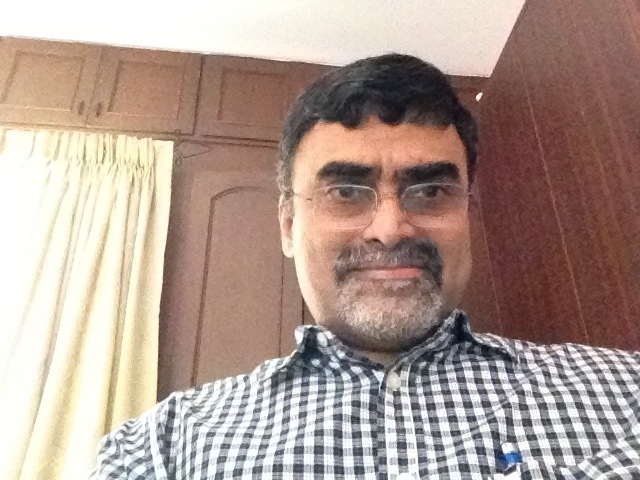 I am a physician in Cuddalore, Tamil Nadu, and I’ve been doing ultrasound for 25 years. Currently I am using a Voluson E 8, which allows 3D and 4D imaging, doppler studies and Echocardiograms. This blog features some of the most interesting cases I’ve seen, and also has my comments. Hope you enjoy reading it, and do leave comments! My name is Mati Shirizly CEO of Orcasonix. I’ve just exposed to your blog and find it very interesting. We are developing a new technology that will enables superior image quality on Obese patients. based on your vast experience, Do you have cases of obese patients that you can share with me! , we are interested on abdominal images ( kidney, liver etc). Thanks, we are mainly interested in regular renal examination. Specifically images of the right and left kidney of obese with BMI over 40. Any images will be a great help. Dear Dr Kriznan, I am Dr Harsha , first year resident from Yenopoya Medical college in Mangalore . I would like to ask your permission for using your material , Kindly email me for further discussion . Thank you .